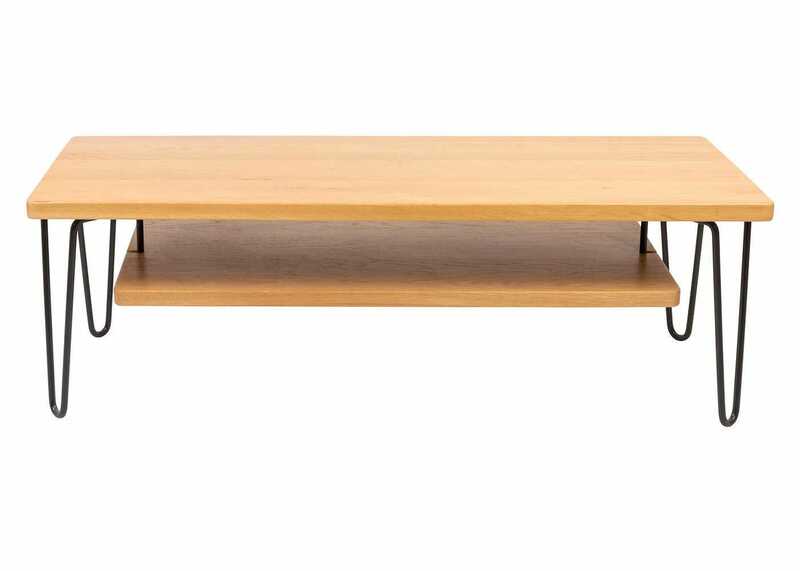 AS SHOWN Brunel Coffee Table / AV Unit with shelf. Stock arriving soon; order now for delivery in 10 - 12 weeks. 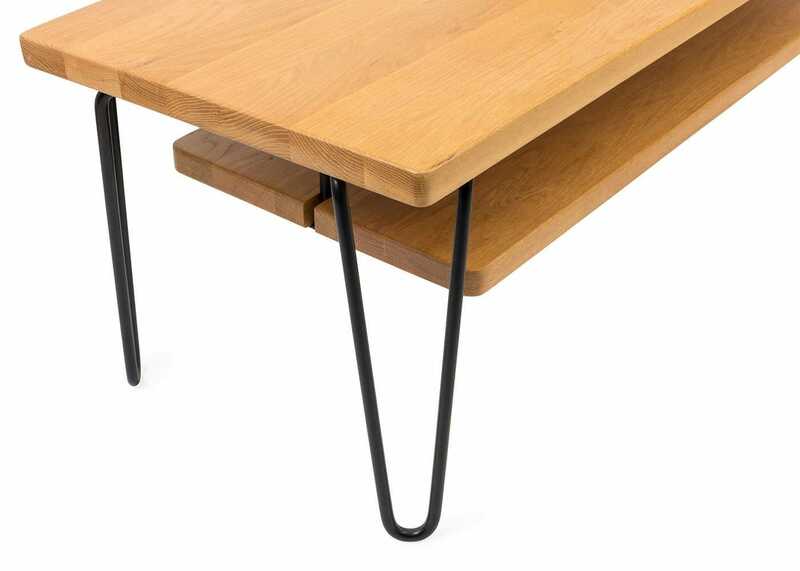 Made from solid American oak with lipped edging and industrial style powder coated steel frame, paying homage to pioneerring modernist design. 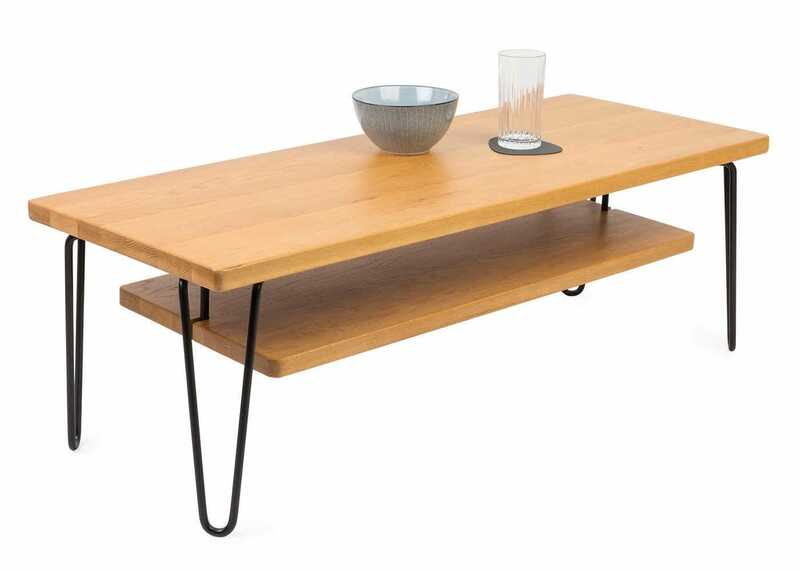 The perfect piece for contemporary styled spaces - the Brunel Coffee Table blends perfectly with urbane interiors. 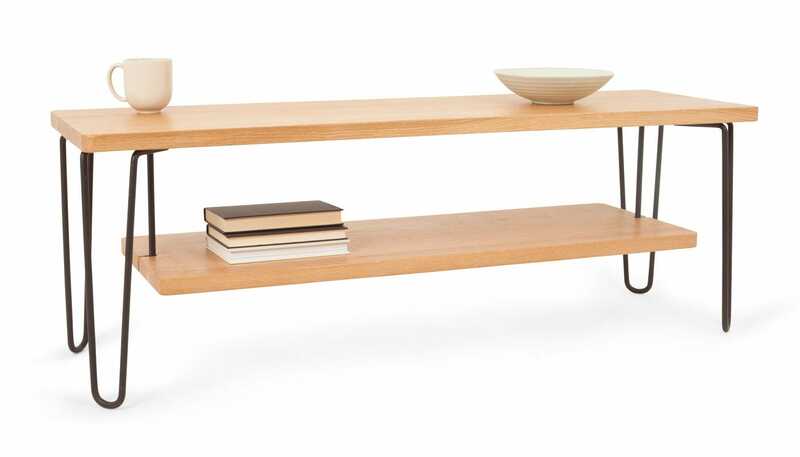 This design also has the option of an additional low-hanging shelf providing a second tier of functional storage that makes it the ideal AV unit. Please note this add on shelf is sold seperately. 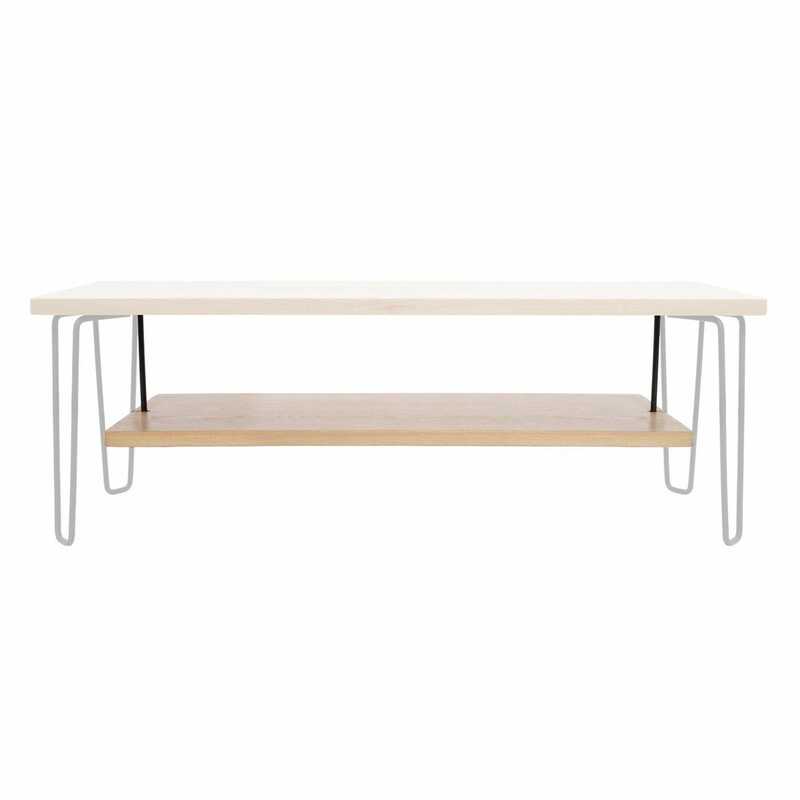 Hairpin powder coated steel legs add an industrial style touch to the design. Solid Amercian Oak tops the coffee table with lipped edging. Beautifully made and versatile too. 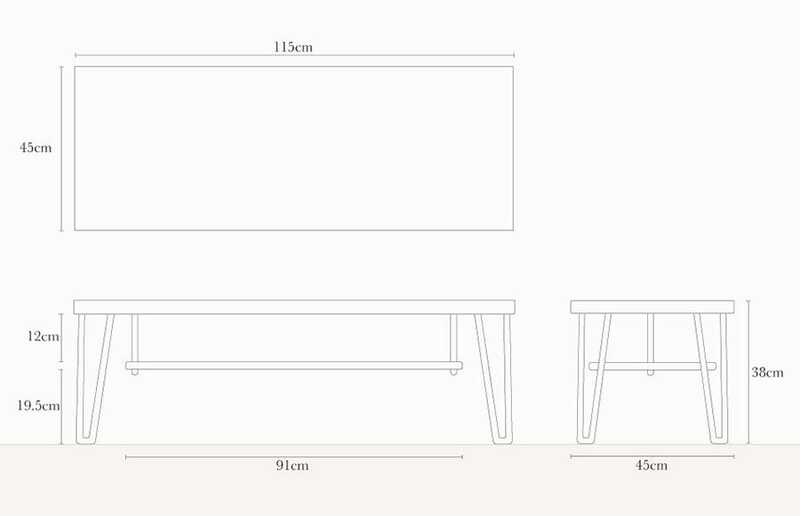 Perfect quality, design and assembly. 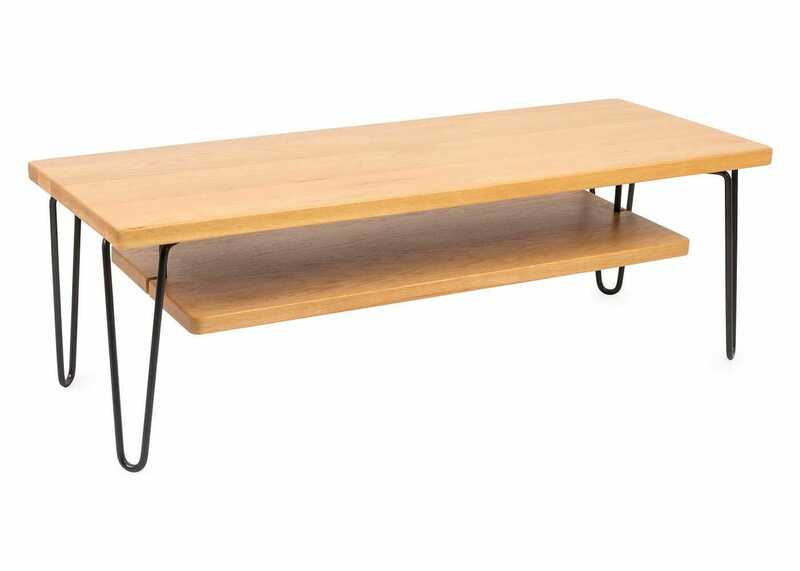 Only have a small room but perfect sized coffee table just right proportions and with metal legs it doesn't dominate the room but makes it more airy.